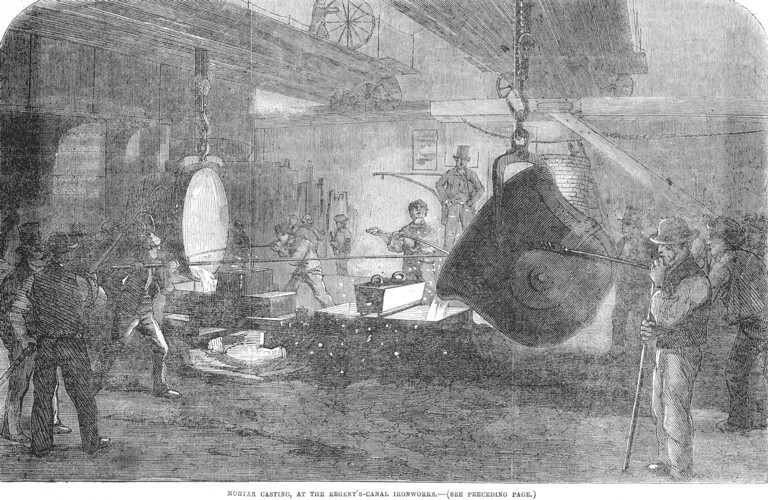 The Illustration upon the following page represents the interior of the foundry of the Messrs. Grissell, of the Regent's-Canal Ironworks, City road, who have been engaged for some time past in casting mortars for the Government. The time selected by our Artist is at the moment when the liquid metal is being poured into the moulds. The Mortars recently cast have been of thirteen inches bore: the process is most interesting, and the effects of light and shade during the operation of emptying the cauldrons of their molten consists is of the most singular and striking character.